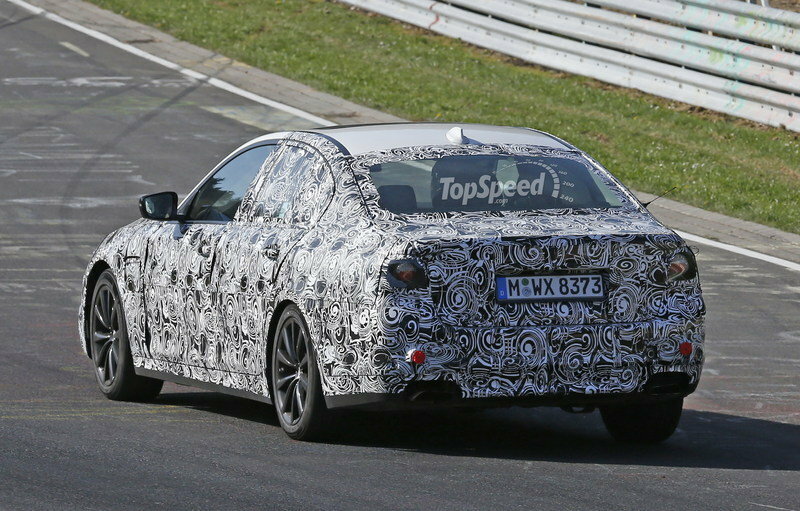 In 2014, our spy photographers spotted the new-generation BMW 5 Series stretching its wheels on the Nurburgring track for the very first time. Later that year, the sedan was caught once again testing in Europe. 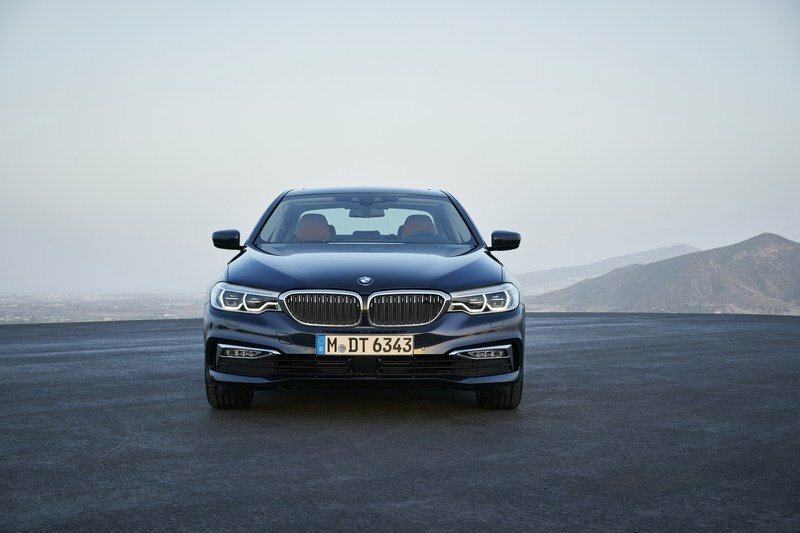 Come October 2016 and the new 5 Series finally made its official debut, showcasing its evolutionary design and state-of-the art features. 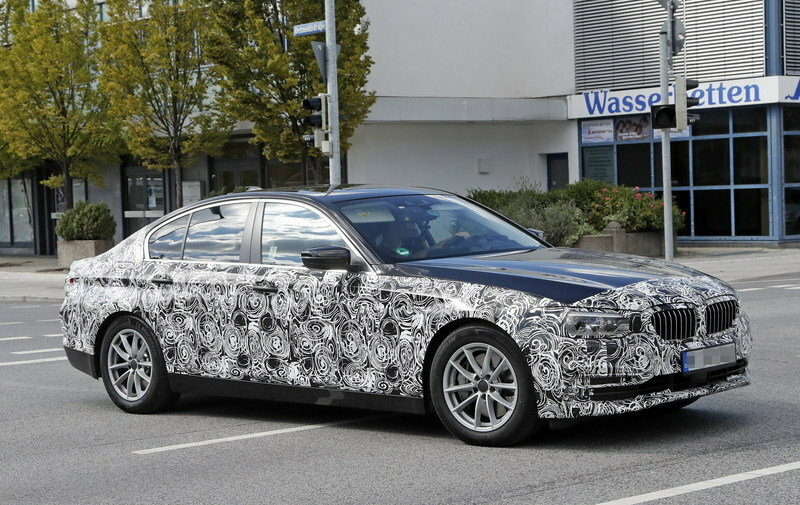 As seen with recently launched new Bimmers, the new midsize sedan lost some weight thanks to BMW using the carbon-fiber-reinforced plastic (CFRP) technology in the larger 7 Series, as well as magnesium, aluminum, and high-strength steel in the car’s chassis. The sedan is up to 137 pounds lighter than its predecessor (depending on trim and equipment), which isn’t a whole lot but enough to make a difference in the performance and fuel economy departments. 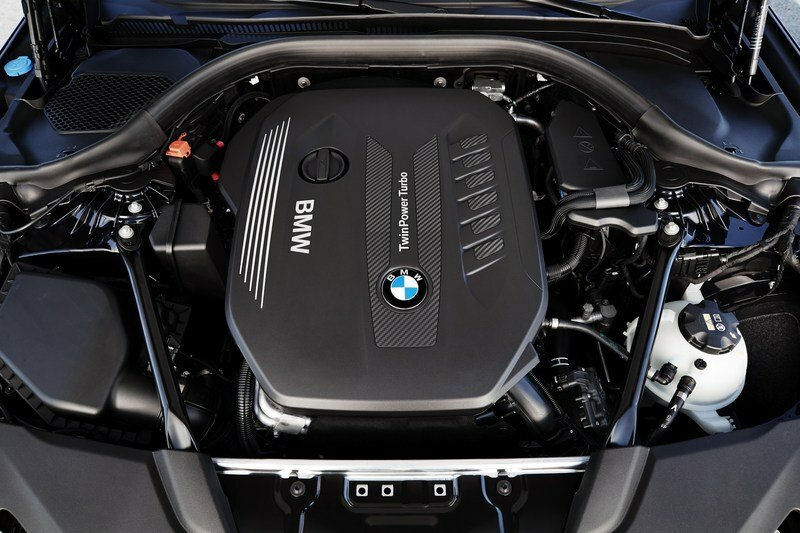 As expected, the new-generation 5 Series was unveiled with inline four-cylinder, six-cylinder, and V-8 engines for the North American market, with a high-performance M5 to follow in 2017. Meanwhile, the four-door made its U.S. debut at the Detroit Auto Show and is slated to arrive in dealerships starting February 2017. 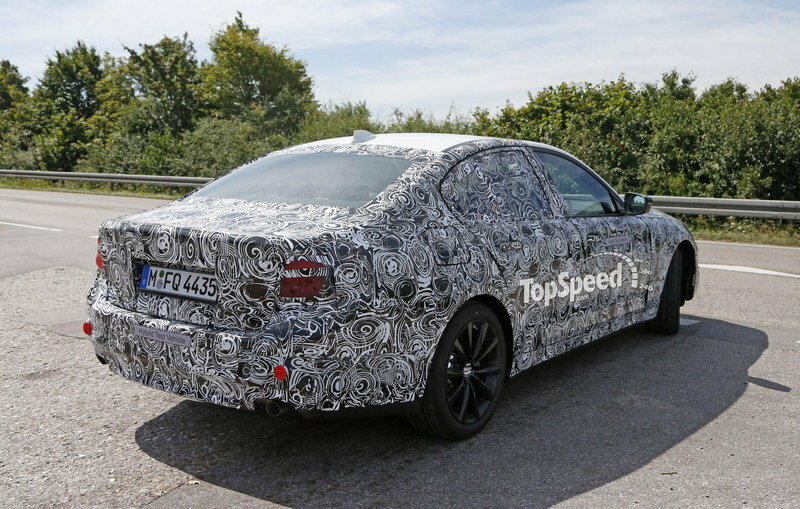 Continue reading to find out more about the 2017 BMW 5 Series. 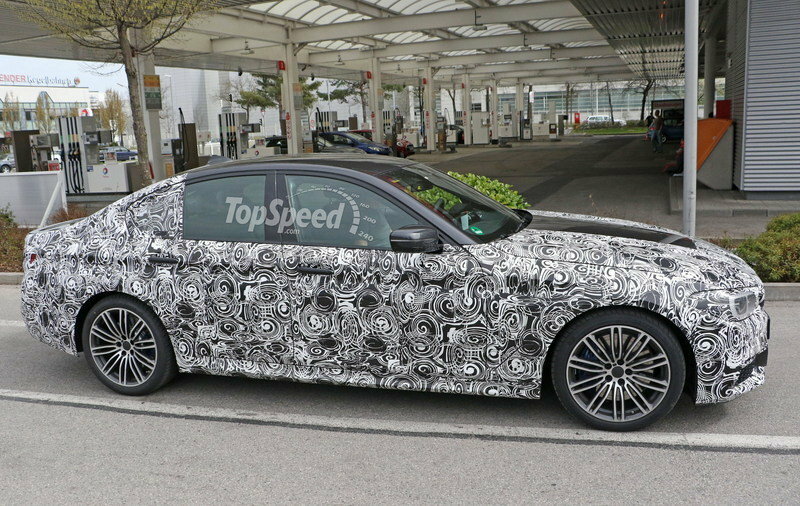 As expected, the new 5 Series is more evolution than revolution styling-wise. 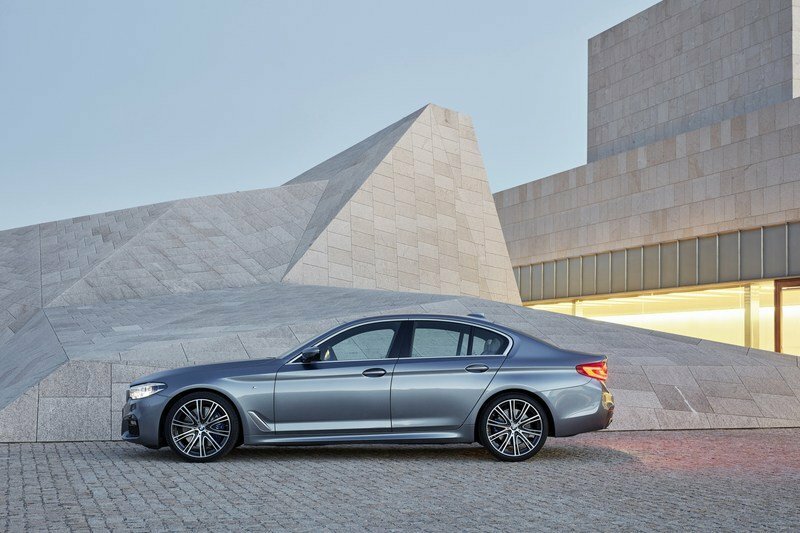 The mid-size sedan borrows heavily from the 7 Series, featuring a larger, wider kidney grille flanked by longer, flatter headlamps. 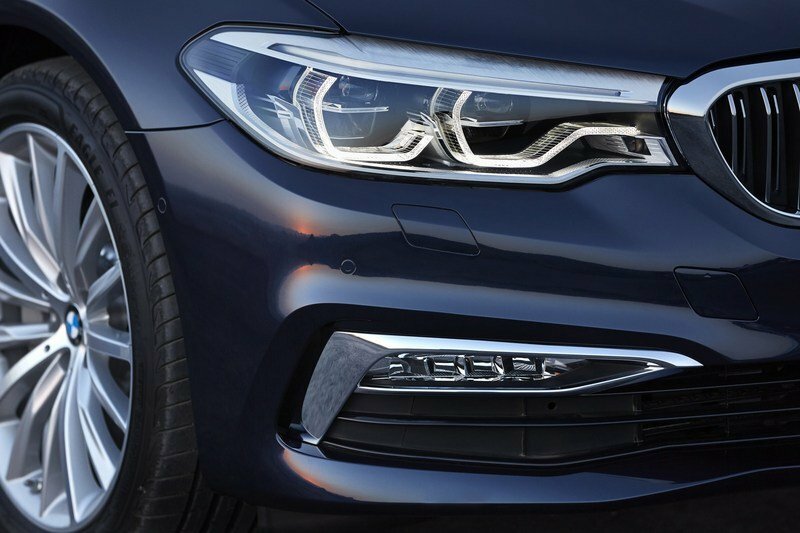 These now connect seamlessly with the kidney grille, as seen on the 3 Series and 7 Series. Speaking of the headlamps, LED adaptive units are now standard. As expected, the new 5 Series is more evolution than revolution styling-wise and borrows heavilty from the BMW 7 Series. The kidney grille incorporates active slats for the radiator. These open up when more cooling air is required, but otherwise remain closed to optimize aerodynamic efficiency. The revised bumper intakes include Air Curtains, which team up with Air Breathers to cut air turbulence in the wheel arches. The new features also reduce lift, which enhances dynamics at high speeds. The side view showcases a more pronounced beltline that adds sportiness, as well as the hockey stick-shaped character line above the side skirts. Around back, the redesigned taillights reach deep into the sides of the car. The mild revisions also include new exhaust tailpipes, which are now arranged symmetrically on both sides on all model variants. The four-cylinder cars will get circular outlets, while the six-cylinder models and sedans with the M Sport package will have trapezoidal pipes. The mild revisions also include new exhaust tailpipes, which are now arranged symmetrically on both sides on all model variants. 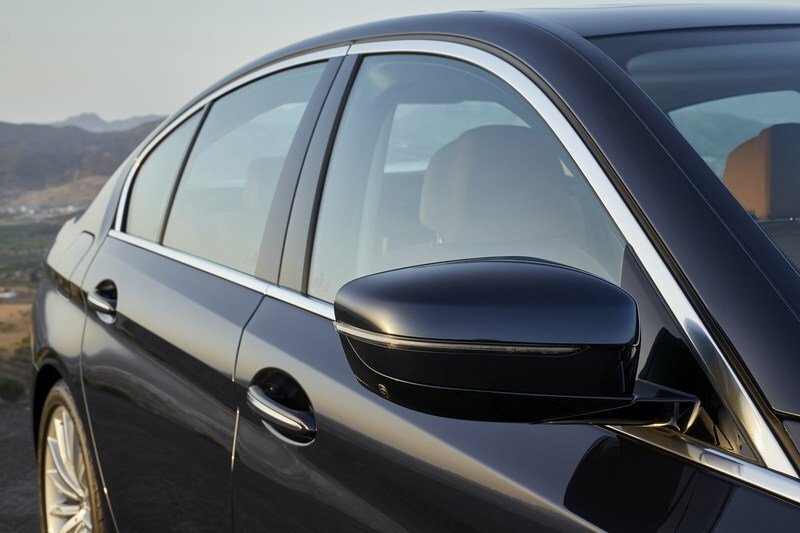 Speaking of model specific features, the new 5 Series comes standard with the Sport Design package, which numerous trim elements in high-gloss black, 18-inch Double Spoke light-alloy wheels, chrome window surround, chrome kidney grill bars, and chrome front & rear bumper trim finishers. The optional M Sport package, which will be available from launch, will include the M Aerodynamic kit (front apron with larger air intakes, side skirt trim, a diffuser-style rear apron), Shadowline exterior trim, lowered M Sport suspension and 19-inch M Double-Spoke Wheels. Two non-metallic and 11 metallic color shades are available for the new BMW 5 Series, while rim choices include four different light-alloy designs in 18-, 19-, and 20-inch sizes. 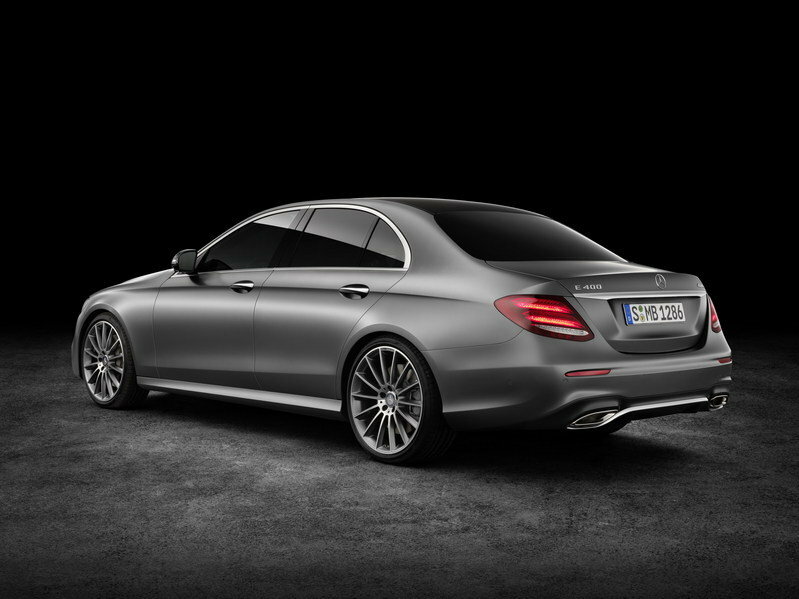 The coupe-like roof and the belt line that descends toward the taillights give the E-Class a sporty profile. The 5 Series traditional competitor for decades, the E-Class (left) was redesigned for the 2017 model year, adopting the familiar styling cues seen on the larger S-Class and smaller C-Class. 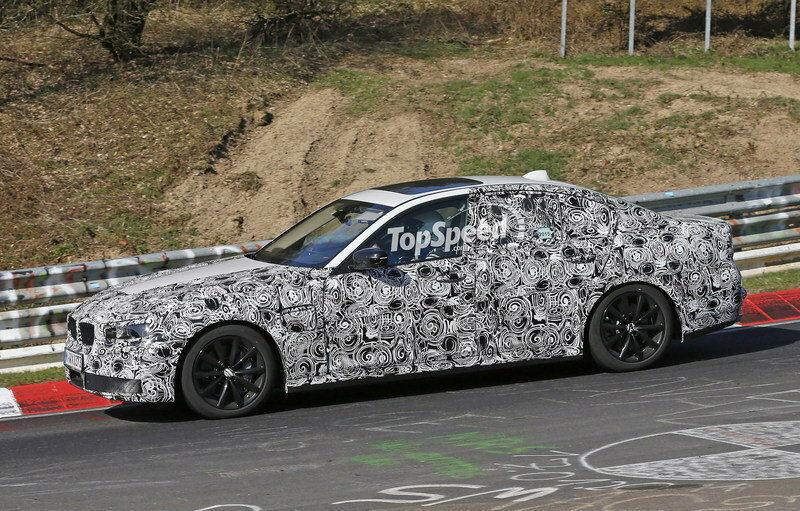 Although some have criticized Mercedes-Benz for making its sedans to similar, the strategy isn’t far off from BMW’s, which used the 7 Series as inspiration for the new 5 Series. 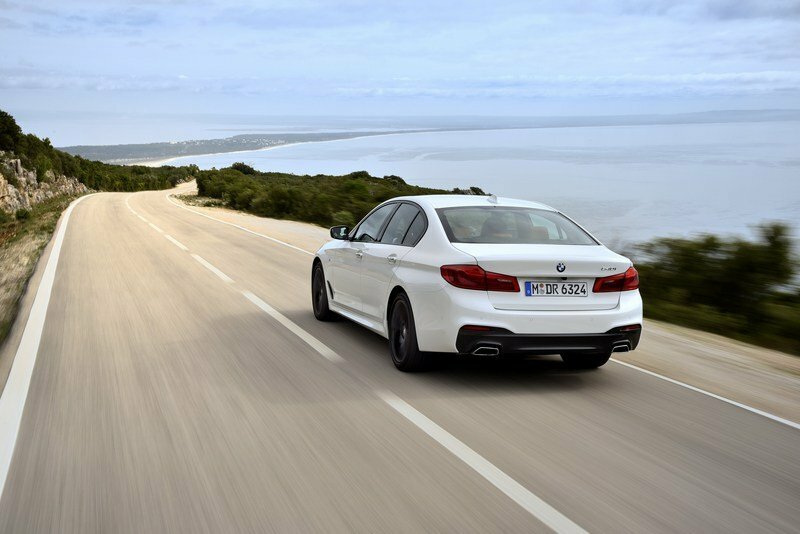 Although different by design, the 5 Series and E-Class are actually very similar, satisfying the segment’s need for vehicles that blend sportiness with elegance. Naturally, Mercedes has a slightly different approach with the front fascia dominated by the large, wide grille flanked by small headlamps. The coupe-like roof and the belt line that descends toward the taillights give it a sporty profile that very few midsize sedans can match. The third German vehicle in this comparison is also the oldest. Launched in early 2011, the current-generation Audi A6 (right) has already received its mid-cycle facelift in 2015 and it won’t be long until it makes way for a new-generation model. But despite being six years old as of 2017, the A6 can still hold its own against the much newer 5 Series and E-Class. Actually, I dare say it’s on par with its competitors in the elegance department thanks to its simple and tasteful body lines. 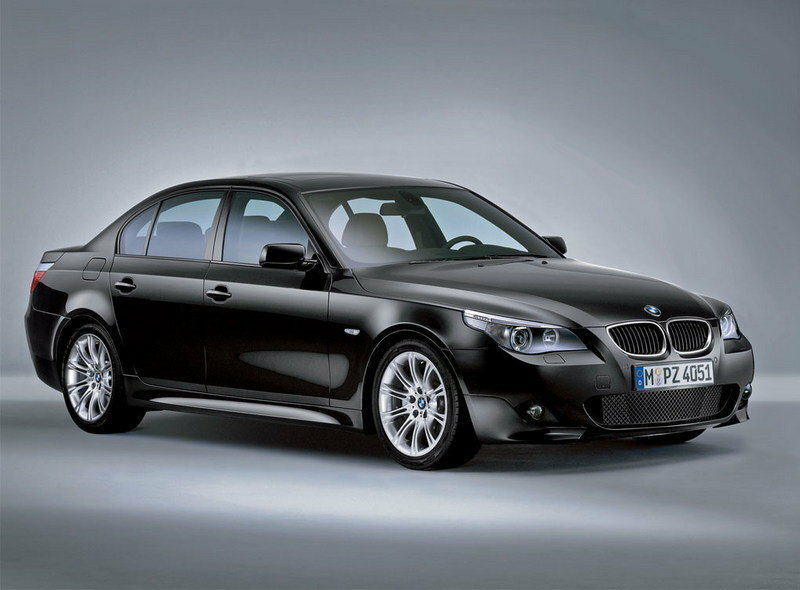 It might not be as sporty as the 5 Series, but it’s not like all customers want a sporty-looking midsize. In this market, subtlety comes first, and the A6 is a prime example that Audi knows how to create stylish automobiles. 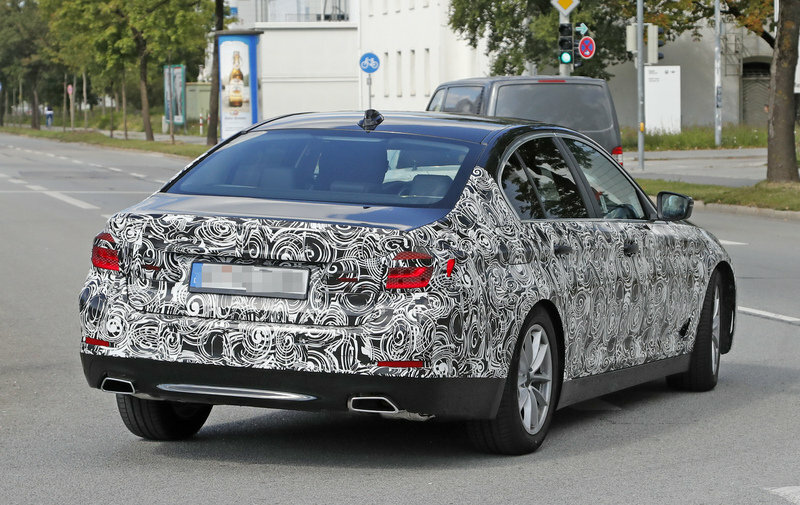 The cabin is also heavily based on that of the 7 Series, featuring an almost identical center stack. The sedan appears to feature a similar wood trim layout and the same infotainment screen atop the dash. A notable difference is noticeable in the center stack. 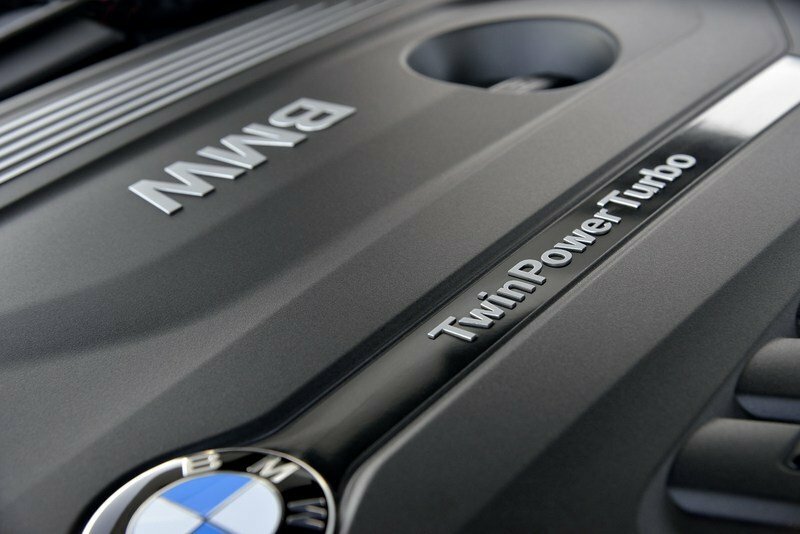 While the 7 Series has its A/C vents separated from the radio and HVAC controls, in the 5 Series they are integrated into the same element. 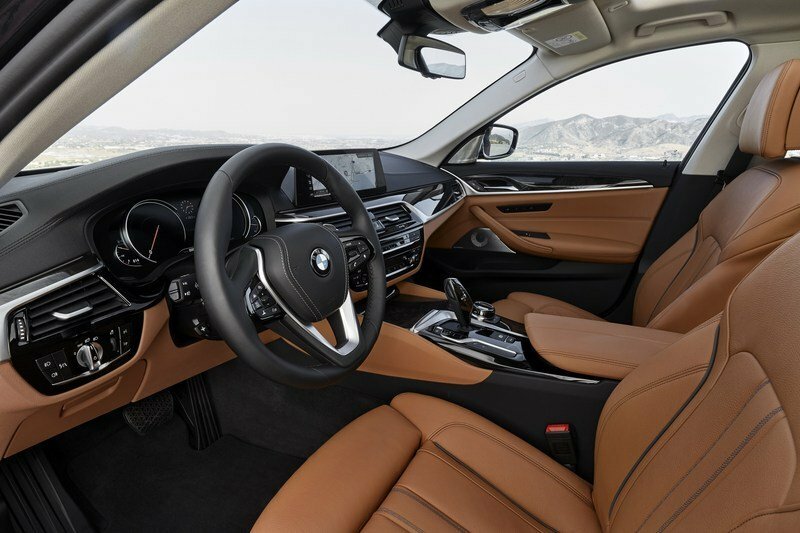 BMW says that the new dashboard design increases room for the driver and front passenger, while rear passengers will enjoy an extra 1.2 inches of leg and knee room. 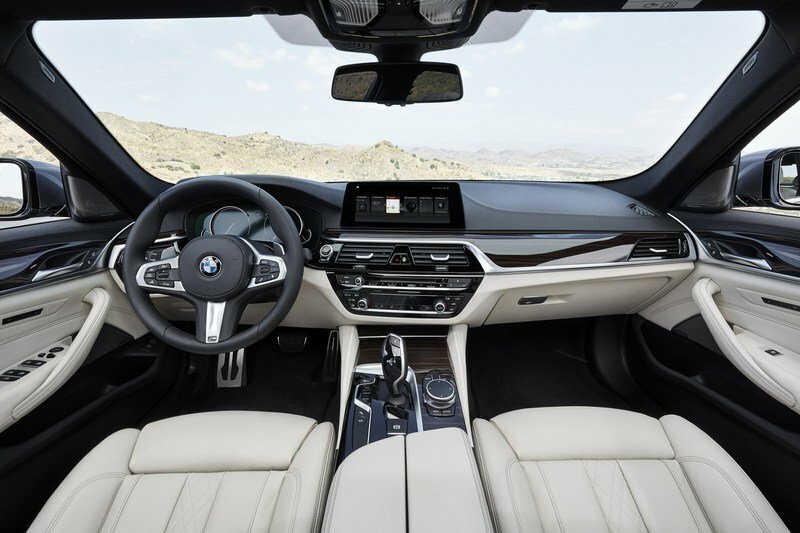 BMW says that the new dashboard design increases room for the driver and front passenger, while rear passengers will enjoy an extra 1.2 inches of leg and knee room. 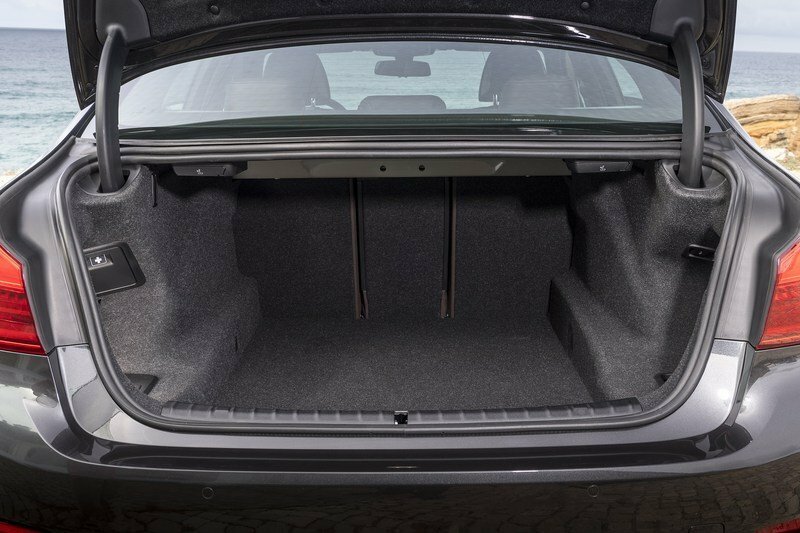 Further comfort comes with the additional storage spaces in the door pockets, which are able to hold regular sized bottles, and the revised storage compartment in front of the cup holders. The latter can be equipped with an optional wireless charging tray. The headliner now features built-in sound absorbing materials for less noise in the cabin. The standard front Sport seats are 16-way electrically adjustable, including adjustable side bolsters for optimum lateral support. 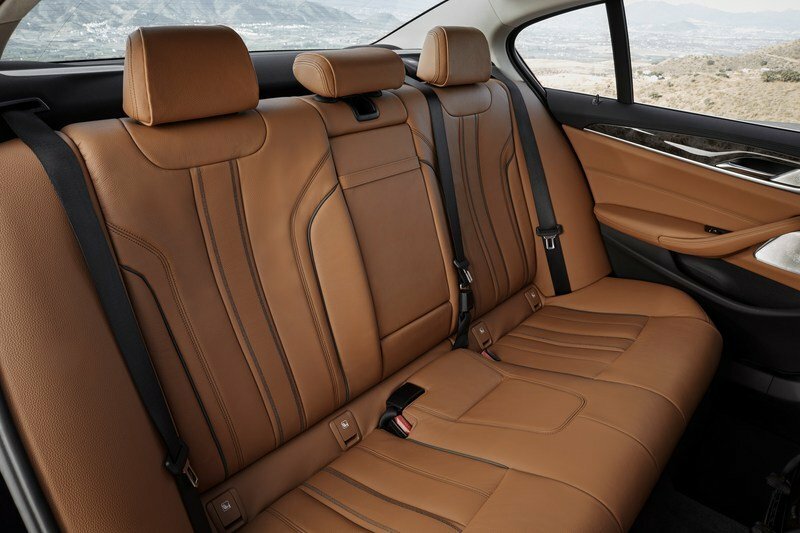 Optionally, BMW offers 20-way adjustable Multi-contour seats for the driver and passenger, which can be additionally equipped with ventilation and massage function. Eight different massage programs, each with a choice of three intensity modes, relax the muscles in the back and relieve the strain while driving. Customers who opt for the M Sport package will get a new M Sport leather steering wheel, a SensaTec upholstered dashboard and aluminum pedal covers and footrest, and exclusive floor mats. 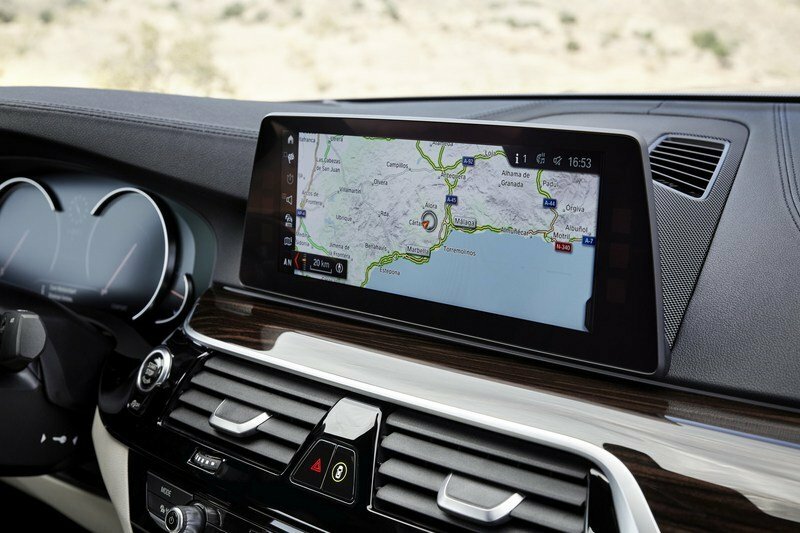 Moving over to technology, the new 5 Series is equipped with a high-resolution, 10.25-inch screen that provides access to navigation, phone, vehicle functions, and entertainment features. 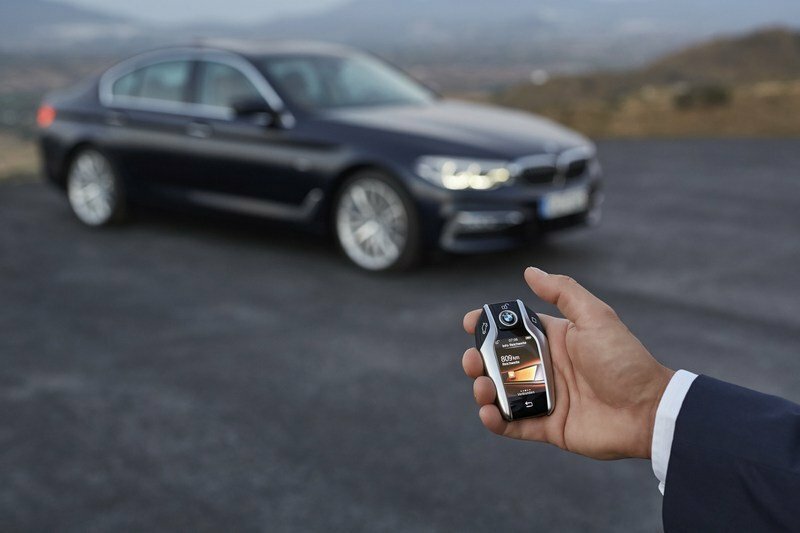 Optionally, BMW offers the latest version of gesture control that debuted in the 7 Series. Drivers can also use the new Advanced Real-Time Traffic with navigation instructions and have access to a wealth of information projected onto the windshield. With a resolution of 800x400 pixels, the projection area is around 75 percent larger than on the outgoing model. 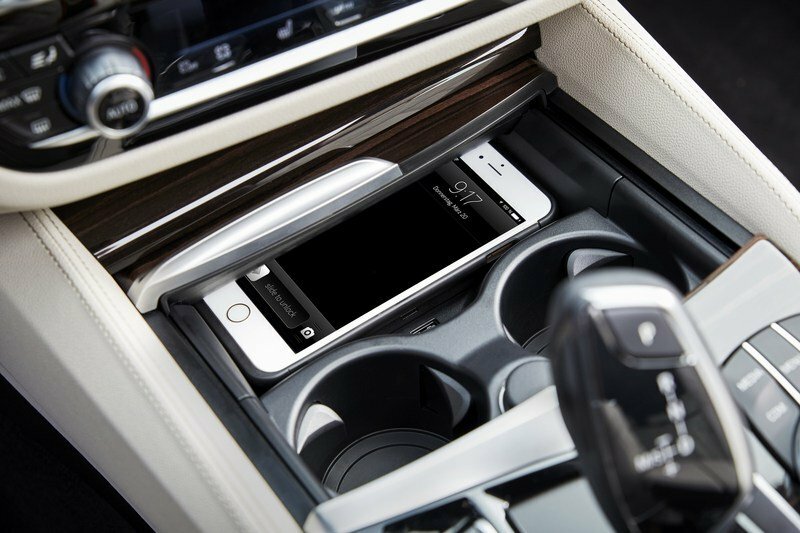 Finally, the sedan is also equipped with wireless charging, Apple CarPlay, and WiFi hotspot. The optional Drive Pilot feature enables the E-Class to follow the car in front at speeds of up to 130 mph. 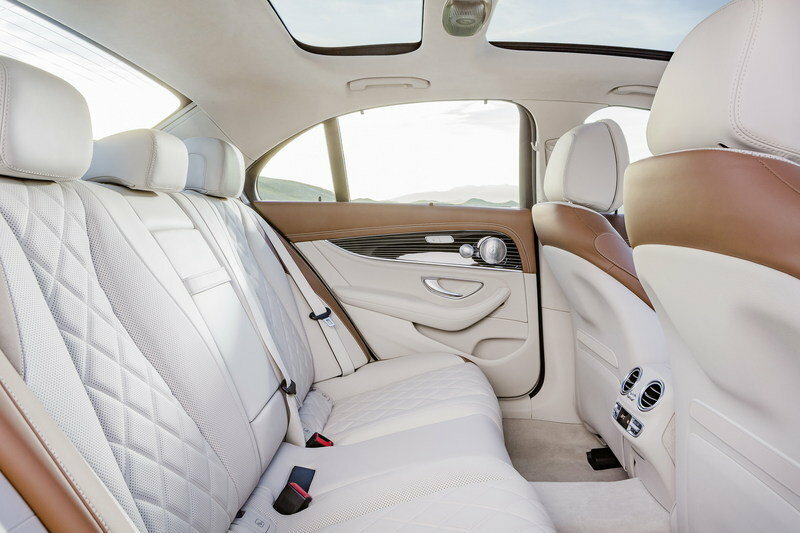 Much like the exterior, the E-Class’ interior (left) is also based on the S-Class. This is far from bad, as the full-size sedan introduced one of the most beautiful interior designs seen in recent years. The E-Class gets all the nice features, including the organic dashboard with a massive touchscreen in the middle, four A/C vents below, and a wide center stack and console with a clean and elegant design. The analogue dash with the seven-inch screen in between is standard, but a 12.3-inch display is available as an option. Likewise, the standard infotainment screen is 8.4 inches, while the optional unit measures 12.3 inches. 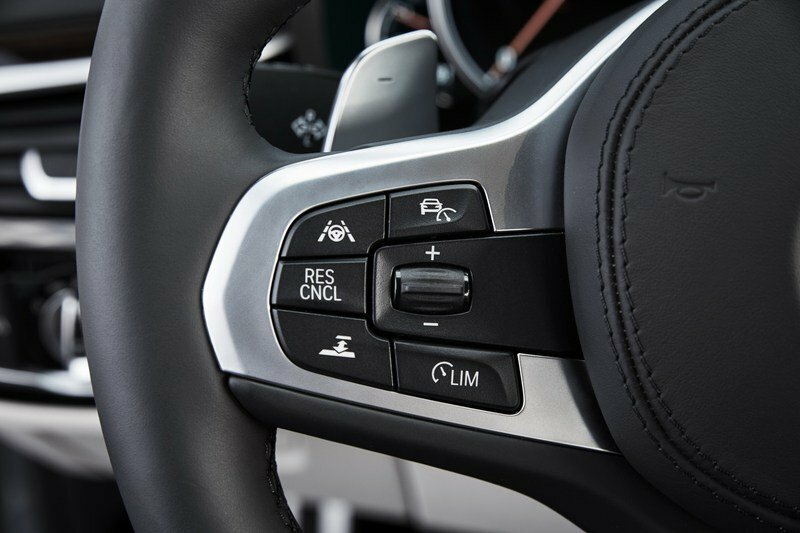 Tech highlights include touch-sensitive buttons on the steering wheel, a redesigned infotainment system, Linguatronic voice control, LED interior lighting with 64 colors, and a wide array of high-grade leathers and wood inserts to choose from. Just like the 5 Series, the E-Class is semi-autonomous. The optional Drive Pilot feature enables the E-Class to follow the car in front at speeds of up to 130 mph, while the Steering Pilot handles moderate bends. There’s also a Speed Limit Pilot function that can automatically adjust the car’s speed according to on-the-road speed limits detected by a camera. Although not as fresh in terms of design, the A6’s interior (right) is an exquisite place to be, especially if you pick the more expensive trims. The dashboard is simple and clean, while the almost 90-degree angle between the center stack and console gives the cabin a retro look. It’s definitely something else. The new Flint Gray and Cedar Brown upholstery colors are a welcome departure from the dark leather hues that usually come with large sedans. The A6 is also equipped with all the connectivity you’d expect in a modern luxury sedan, like 4G LTE Wi-Fi for up to eight devices, streaming Internet radio, personalized news readers, and more. 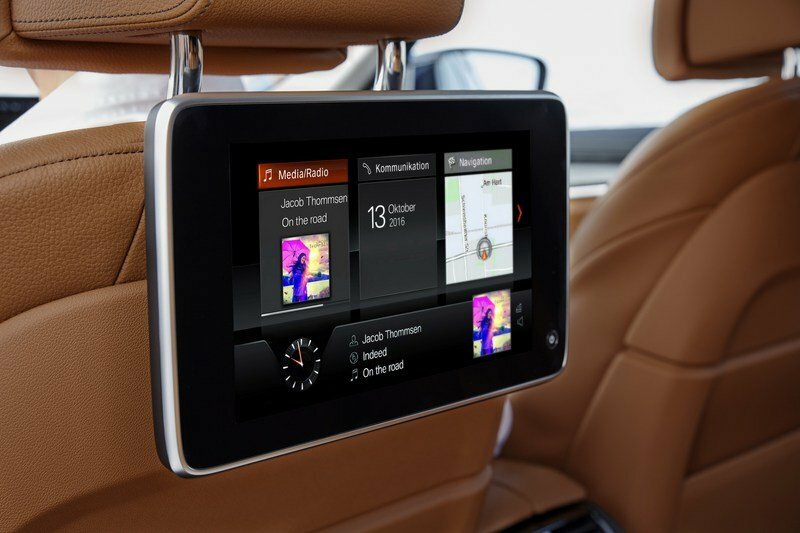 The MMI touch display has an eight-inch screen, voice control, navigation and Bluetooth integration. There’s no semi-autonomous technology yet, but customers can get Side Assist and Active Lane Assist, and Secondary Collision Assist among other features. 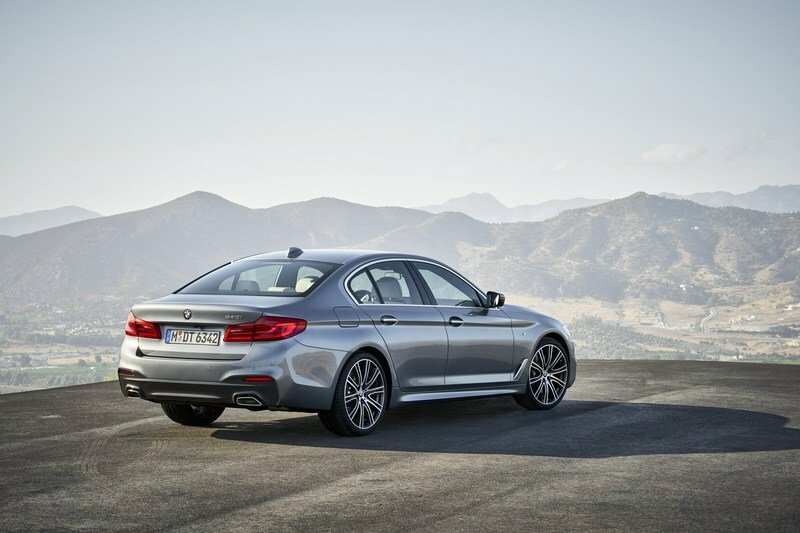 The new 5 Series continues to use the familiar 2.0-liter four-cylinder and 3.0-liter inline-six, but both units have been re-engineered. The base 2.0-liter turbo-four in the 530i model, which replaces the 528i, cranks out 248 horsepower and 258 pound-feet of torque. This is only a six-horsepower increase over the outgoing model. The new sedan is also just as fast as the previous car, needing six second to hit 60 mph with rear-wheel-drive and 5.8 clicks to achieve the same benchmark with xDrive, but fuel economy is better based on European-cycle figures. Top speed remains unchanged at 130 mph standard and 155 mph optional. The new 5 Series continues to use the familiar 2.0-liter four-cylinder and 3.0-liter inline-six, but both units have been re-engineered. Moving over to the 540i, its 3.0-liter six-cylinder comes with 335 horsepower and 332 pound-feet on tap. The increase is more significant here, accounting for 33 extra horses and 37 pound-feet of twist. This version is significantly quicker to 60 mph, getting up to speed in 4.9 ticks with RWD and the 4.7 seconds with xDrive. Top speed is identical to the 540i. The third model to arrive in U.S. showrooms was unveiled at the 2017 Detroit Motor Show as the M550i xDrive. Essentially a replacement for the previous 550i, the M-badged sedan uses the familiar 4.4-liter V-8 in the previous model, but benefits from 456 horsepower and 480 pound-feet of torque. That’s a 12-horsepower and 37-pound-feet improvement over the outgoing 550i, which returns an impressive 0-to-60 mph sprint of only 3.9 seconds. 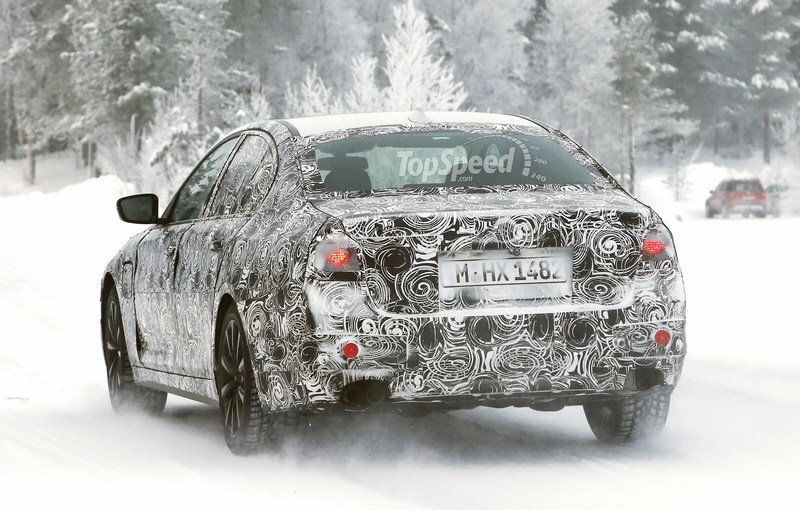 This figure makes the M550i xDrive the quickest 5 Series yet and only the upcoming M5 will be able to set a better benchmark in terms of acceleration. Essentially a replacement for the previous 550i, the M-badged sedan uses the familiar 4.4-liter V-8 in the previous model. 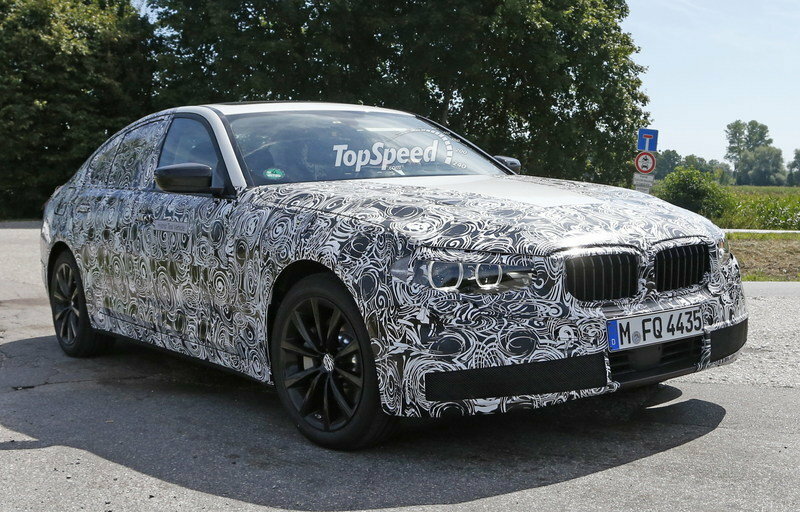 While the previous 5 Series also had a diesel version in the U.S., there’s no sign yet that BMW is planning to bring a new oil burner on this side of the pond. In Europe, the 530i is rated at 252 PS and 350 Nm of torque, while the 540i benefits from 340 PS and 450 Nm. 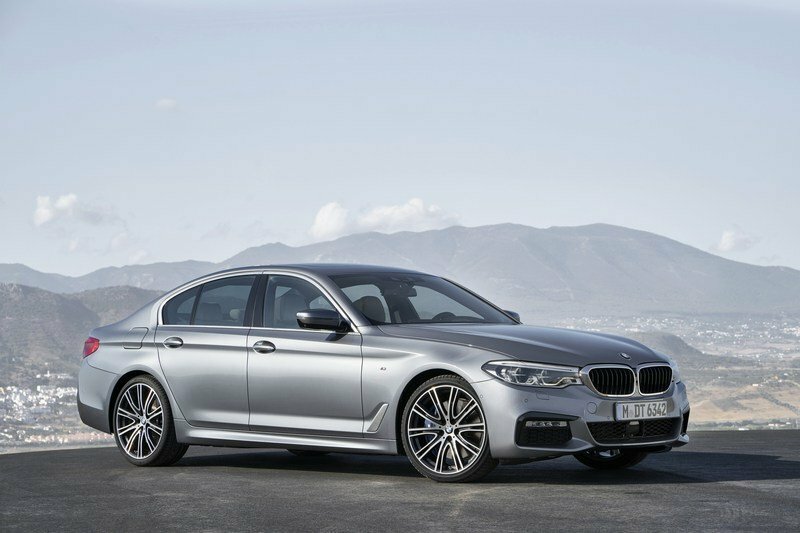 Customers on the other side of the pond also get a 530d diesel model, which uses the single-turbo six-cylinder with 265 PS and 620 Nm of twist. 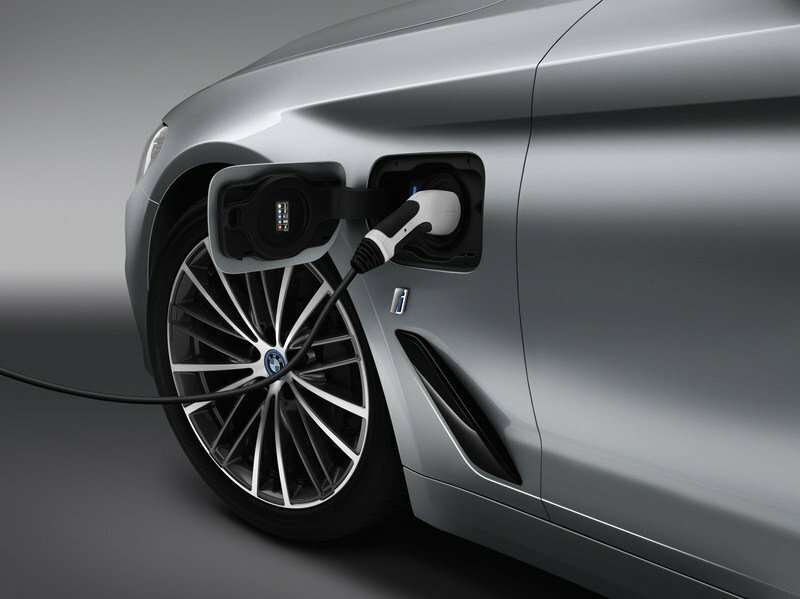 Finally, BMW also introduced the 530e iPerformance, a plug-in hybrid that has an electric range of 45 km (27 miles) and delivers the best fuel economy of any 5 Series yet (2.0 l/100 km). Note: Mercedes E-Class engine pictured here. Just like the 5 Series, the E-Class was launched with an array of four-, six-, and eight-cylinder engines and both gasoline and diesel pwoerplants. 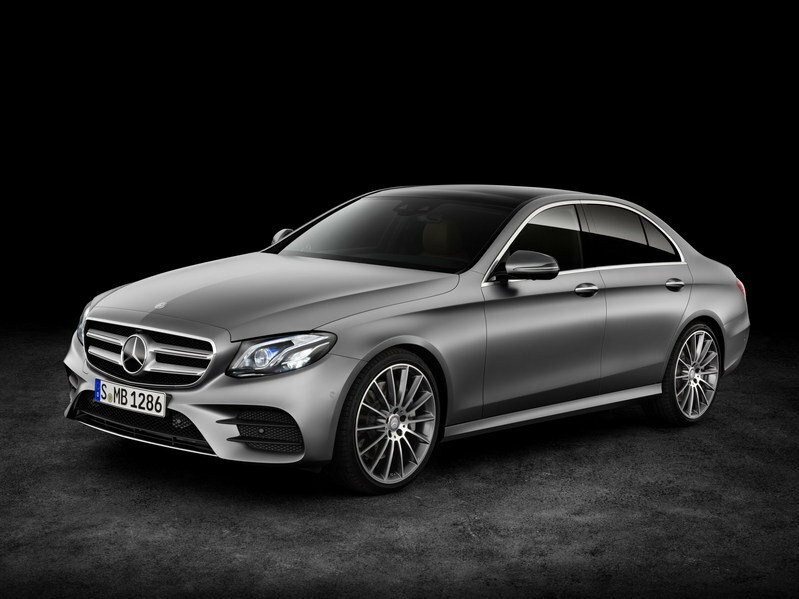 In the U.S., the range begins with the E300, which uses a turbocharged, 2.0-liter four-cylinder rated at 241 horsepower and 270 pound-feet of torque. This model needs 6.2 seconds to hit 60 mph and tops out at 153 mph. Compared to the BMW 530i, it’s almost a half-second slower. The E300 is also available with 4Matic, which returns similar performance, being a tenth-second slower from 0 to 60 mph. The second version available in the U.S. as of January 2017 os the AMG E43. This sedan gets its juice from a turbocharged, 3.0-liter V-6 that’s good for 396 horsepower and 384 pound-feet of twist. 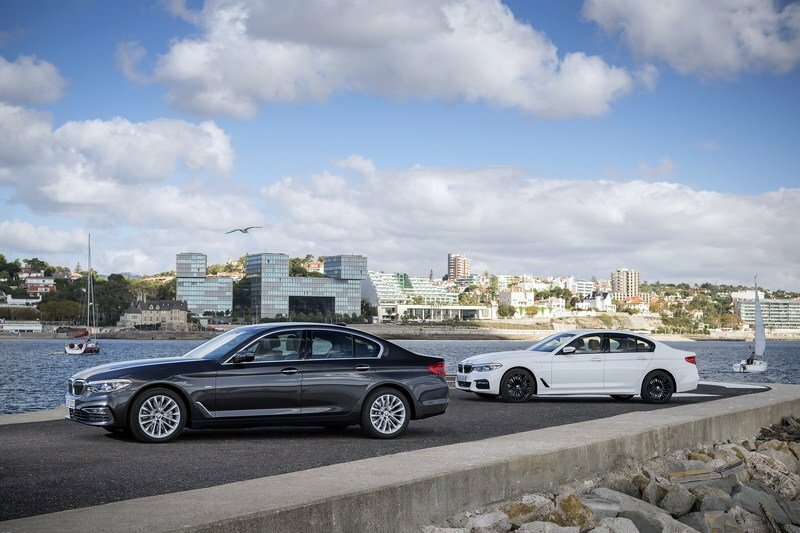 This variant slots between the 335-horsepower 540i and the 456-horsepower M550i xDrive. But even though it has 61 horses more than the 540i, it’s only two tenths quicker from 0 to 60. 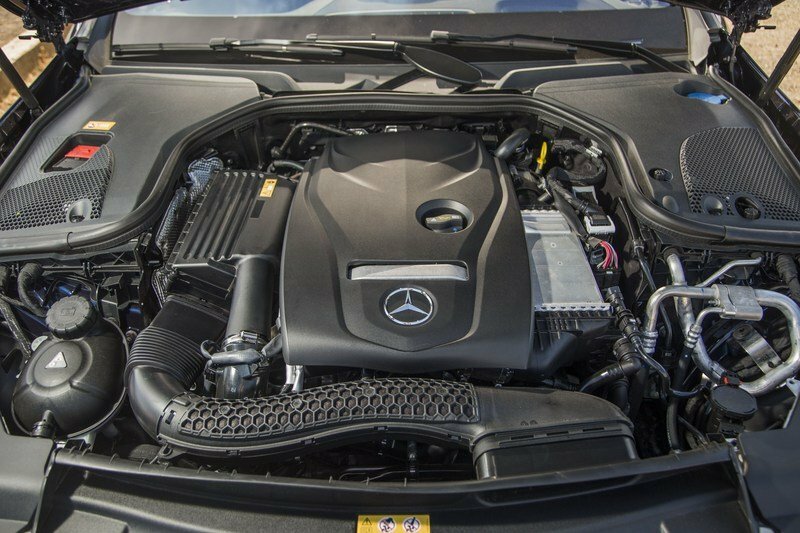 In Europe, the 2.0-liter four-pot is also available with 181 horsepower, as well as in the hybrid E350e, rated at 208 horses. 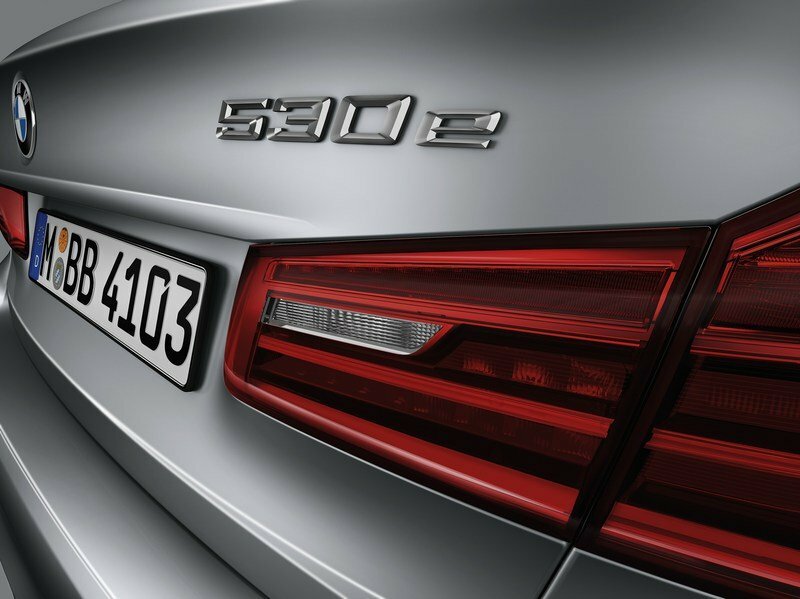 The 3.0-liter V-6 in the E400 generates 328 horsepower. Moving over to diesels, there’s a 2.0-liter four-cylinder with either 150 horsepower and 270 pound-feet or 191 horsepower and 300 pound-feet, and a 3.0-liter V-6 that cranks out 254 horses and 460 pound-feet. 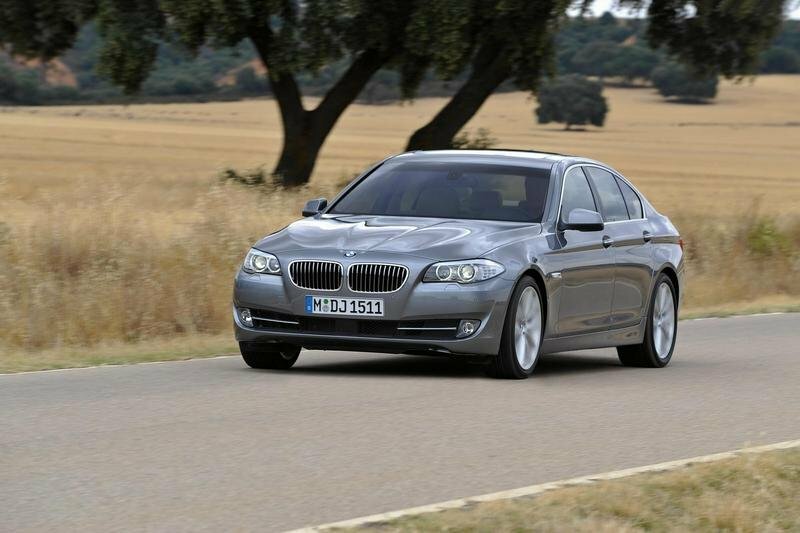 Needless to say, the 5 Series is the winner in most departments as far as drivetrains go. 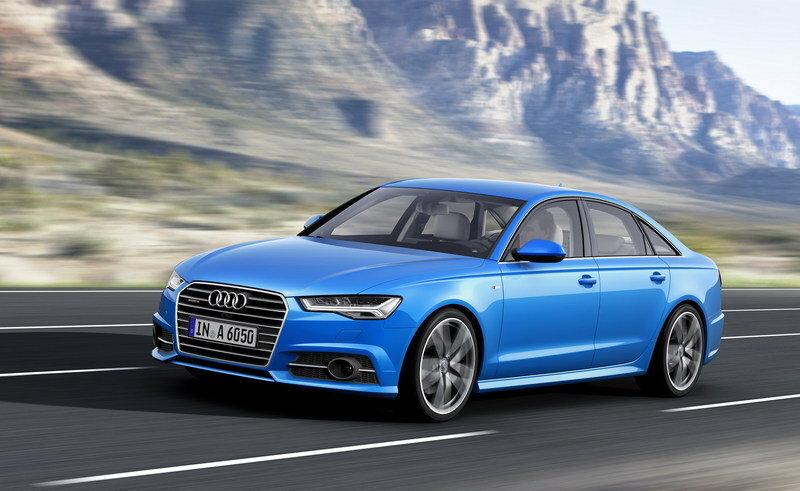 The Audi A6 is also available with two engines. First up is a 2.0-liter four-cylinder that sends 252 horsepower and 273 horsepower to the wheels. Although slightly more powerful than the 530i and E300, the base A6 is significantly slower to 60 mph, hitting the benchmark in 6.7 seconds. Top speed is also inferior at 130 mph. 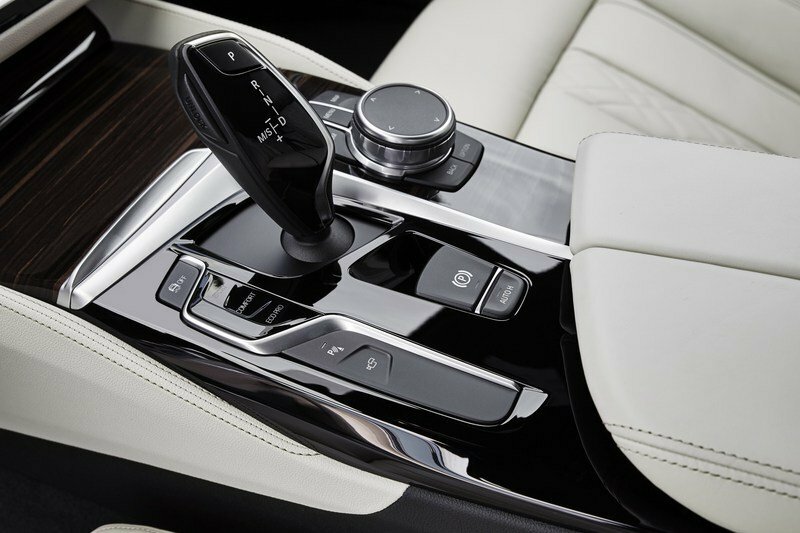 Transmission choices include a seven-speed dual-clutch with FWD and an eight-speed transmission with Quattro. The latter is as quick as the 530i and four tenths quicker than the Merc. Those in need for more power can go with the supercharged, 3.0-liter V-6 and its 333-horsepower and 325-pound-feet rating. In this configuration, the A6 needs only 5.1 clicks to reach 60 mph on its way to a top speed of 130 mph. This model is 0.6 and 0.4 seconds slower than the AMG E43 and 540i, respectively. The most powerful variant is the S6, using a turbo 4.0-liter V-8 rated at 450 horsepower and 406 pound-feet of torque. Six horsepower and 74 pound-feet less powerful than the M550i xDrive, the S6 is a half-second slower from 0 to 60 mph. Not surprisingly, the new 5 Series is packed with safety features. The package includes airbags for driver and front passenger, side airbags for driver and front passenger, head airbags for front and rear seats, three-point inertia-reel seat belts on all seats with belt latch tensioner and belt force limiter at the front seats, crash sensors, and tire defect indicator. The sedan also comes with semi-autonomous drive. The feature is part of the Driver Assistance Plus II package, which also includes, Active Cruise Control with Stop & Go, Active Lane Keeping Assistant with side collision avoidance, Traffic Jam Assistant and Active Lane Change. The bundle is optional on all four models, but it could be standard on the more expensive trims set to arrive at a later date. The standard Dynamic Cruise Control maintains any selected speed between 19 – 130 mph, while the new Evasion Aid system, which operates at speeds up to 100 mph, supports the necessary evasive steering action when the vehicle in front slams on the brakes. Other features include Remote Control Parking and 3D Surround View. The new body structure also provides solid occupant protection. Deformation spaces are optimally designed and utilized courtesy of the latest technologies in body design, splitting up the main load paths so that the impact forces are dispersed over as wide an area as possible by the time they reach the extremely rigid passenger cell. This ensures optimal deceleration of the passenger cell in the event of a crash. 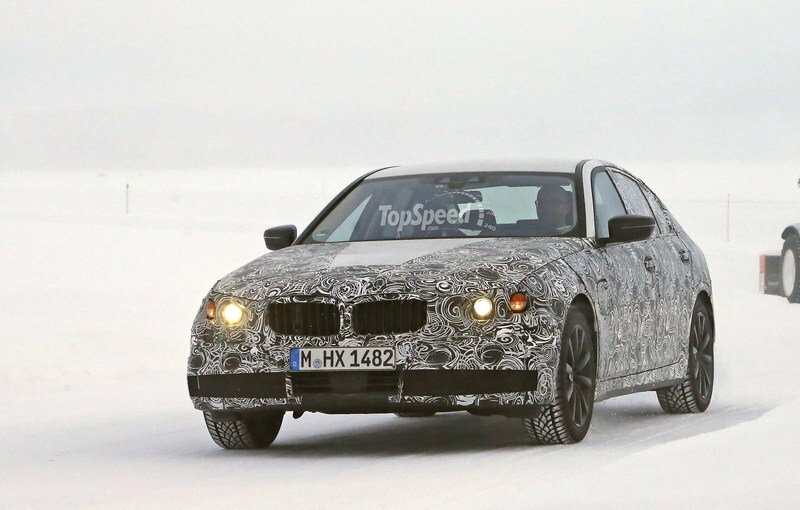 Pricing for the new 5 Series starts from $51,200, a minor increase over the outgoing model. For this amount, you get the base 530i. Upgrade to the six-cylinder 540i and the sticker jumps to $58,750. 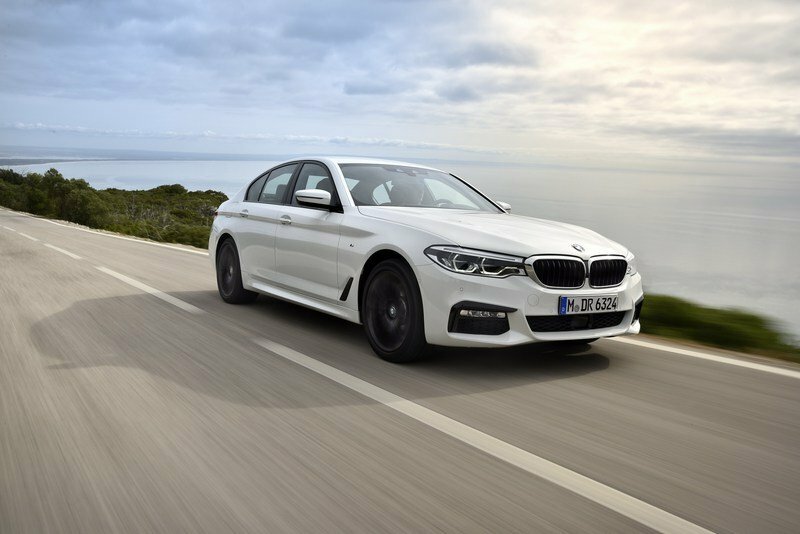 The hybrid 530e iPerformance fetches $51,400 before options, while the range-topping M550i xDrive starts from $72,100. The Mercedes-Benz E-Class is only slightly more expensive than the 5 Series in the U.S. The base E300 model comes in at $52,150, while the all-wheel-drive options adds $2,500 for a final sticker of $54,650 before options. The AMG E43 is also competitive with the M550i xDrive, retailing from $72,400, only $300 more. Being the older car in this comparison, the A6 is also a bit more affordable. 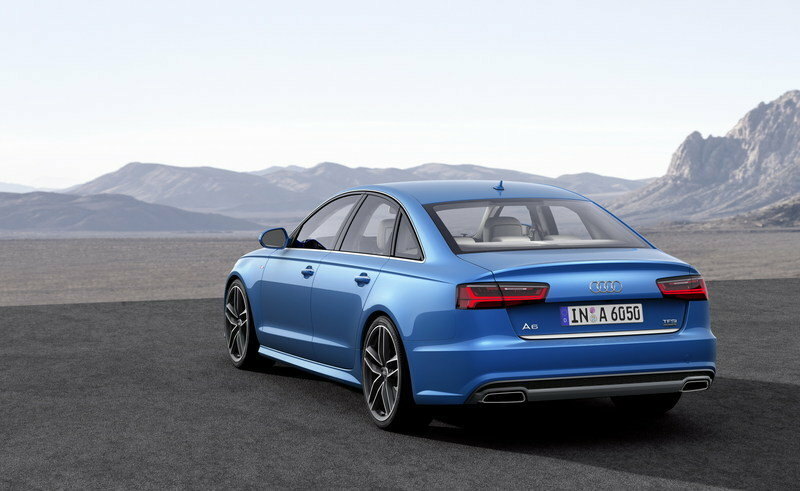 The entry-level A6 Premium starts from $47,600, while the A6 Premium Plus costs $51,600 with the four-cylinder engine and $58,600 with the V-6 powerplant. The range-topping, V-6-exclusive A6 Prestige is priced from $61,600. Finally, the S6 goes for $70,900 before options. Introduced in 2002 as a replacement for the Opel Omega-based Catera, the CTS is now in its third generation, having been redesigned for the 2014 model year. Significantly sportier than its predecessor, the third-gen CTS is also among Cadillac’s most elegant propositions, superseded only by the range-topping CT8. Although it doesn’t have semi-autonomous drive, it benefits from the company’s latest technology and a solid lineup of engines. Just like the competition, its base engine is a turbocharged, 2.0-liter four-cylinder. The four-banger generates 272 horsepower and 295 pound-feet of torque through a six-speed automatic transmission. Next up is the naturally aspirated 3.6-liter V-6 with 335 horsepower and 285 pound-feet, which uses an eight-speed automatic transmission. Cadillac also offers a twin-turbo, 3.6-lited V-6, this time around rated at 420 horses and 430 pound-feet of twist. 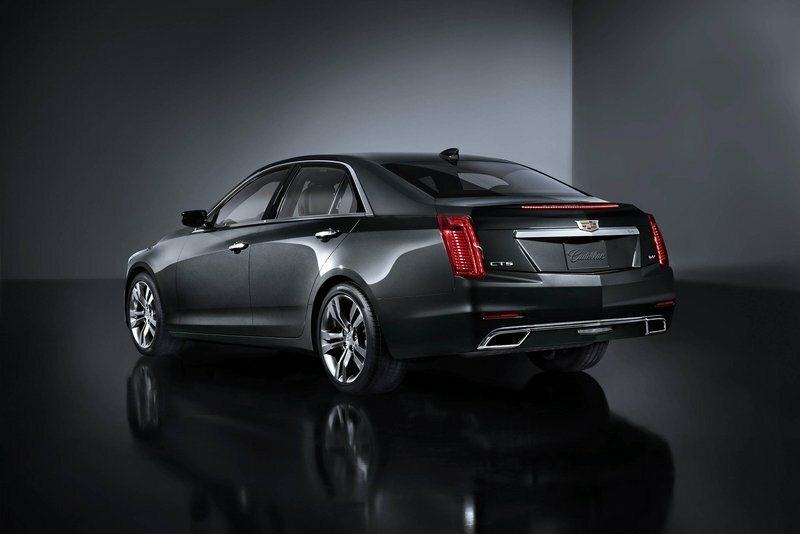 Pricing for the CTS starts from $45,560, which makes it the most affordable sedan in this comparison. 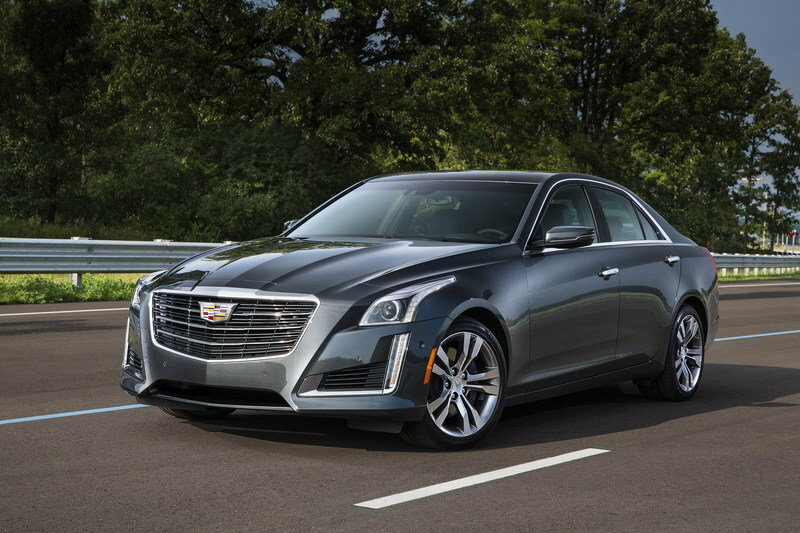 Learn more about the Cadillac CTS here. 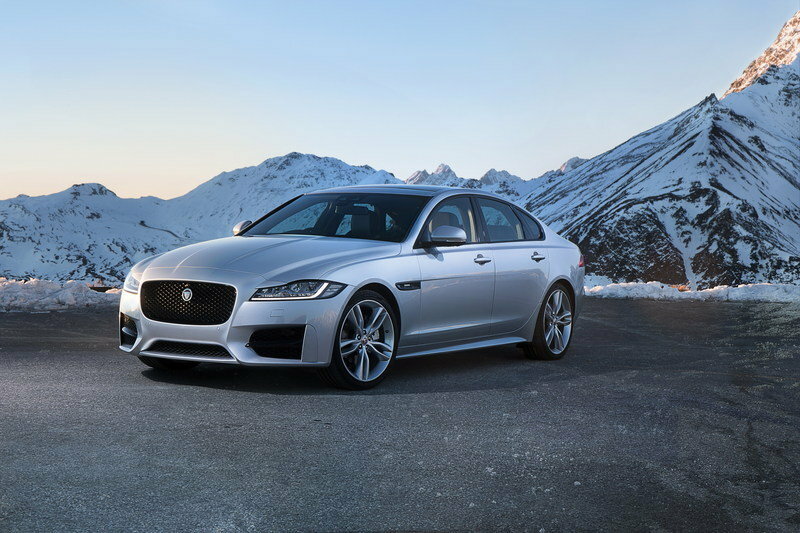 Redesigned for the 2016 model year, the current XF is pretty much an evolution of the previous model, but that’s not to say it can’t give its competitors a run for their money. 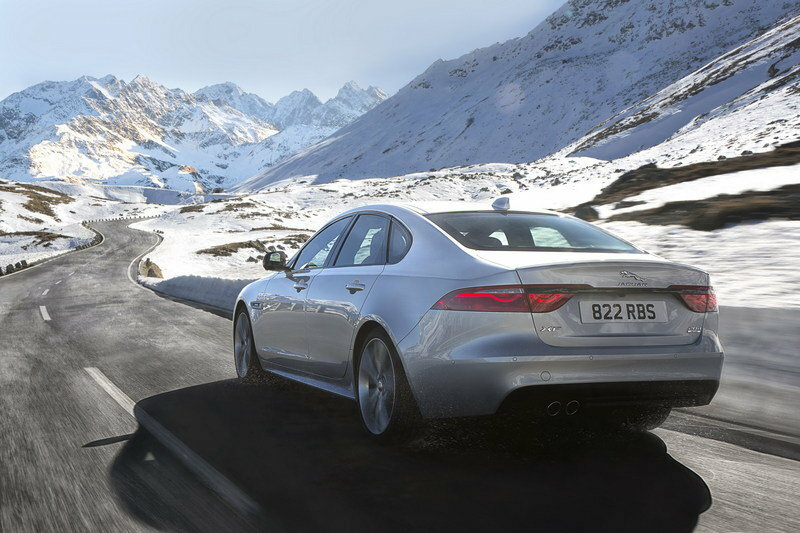 Sportier, but still elegant, the second-gen XF is only among the lightest vehicles in this class thanks to its aluminum construction and provides impressive legroom for rear-seat passengers thanks to its longer wheelbase. Unlike its rivals, it can also be had with a diesel in the United States. The said unit is a 2.0-liter four-cylinder rated at 180 horsepower, and although it might not be very powerful and fast, it returns the best fuel economy you can get in the premium midsize segment. Gasoline choices include the familiar supercharged, 3.0-liter V-6 rated at either 340 horsepower and 332 pound-feet or 380 horsepower and identical torque. Pricing starts from $48,250 for diesels and $51,290 for gasoline models. Find out more about the Jaguar XF here. 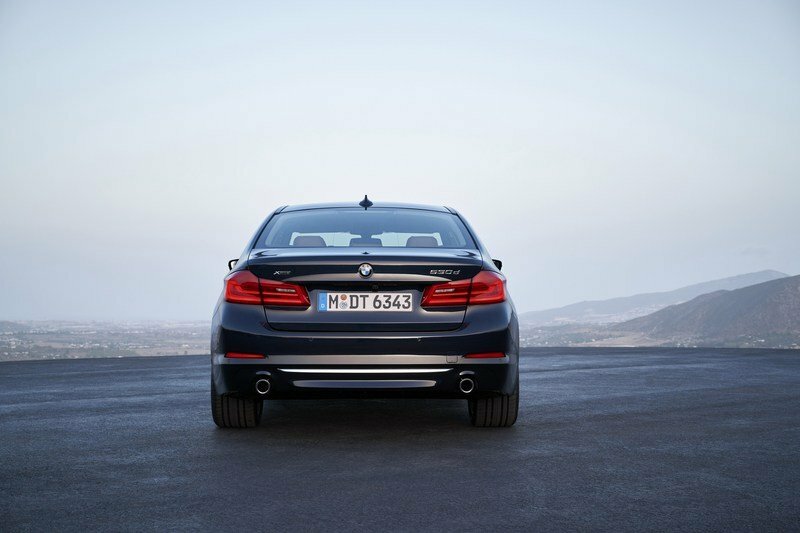 On paper, the new 5 Series is BMW’s lightest, most technologically advanced, and most fuel-efficient midsize sedan yet. 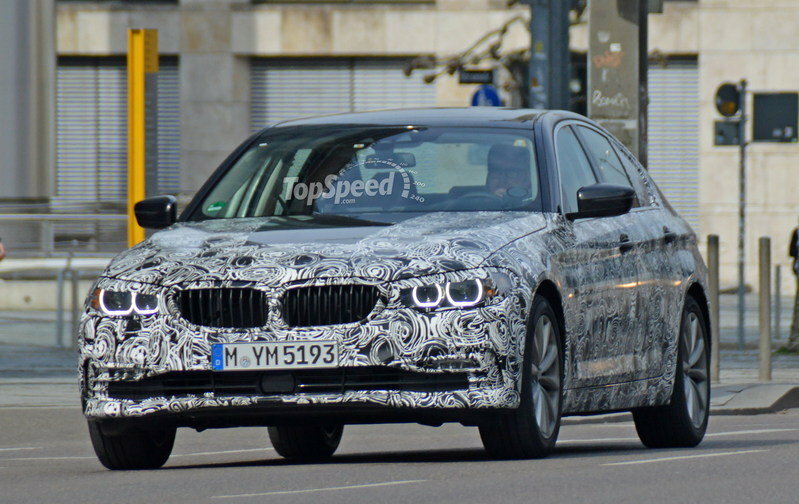 As of early 2017, the Bimmer seems to be the only sedan ready to give the new E-Class a run for its money, but we’ll find out whether this is the case or not when the 5 Series hits the streets. To be honest, I’m not particularly excited with the new exterior and interior designs, but it’s a strategy that seems to work well with most BMW customers. 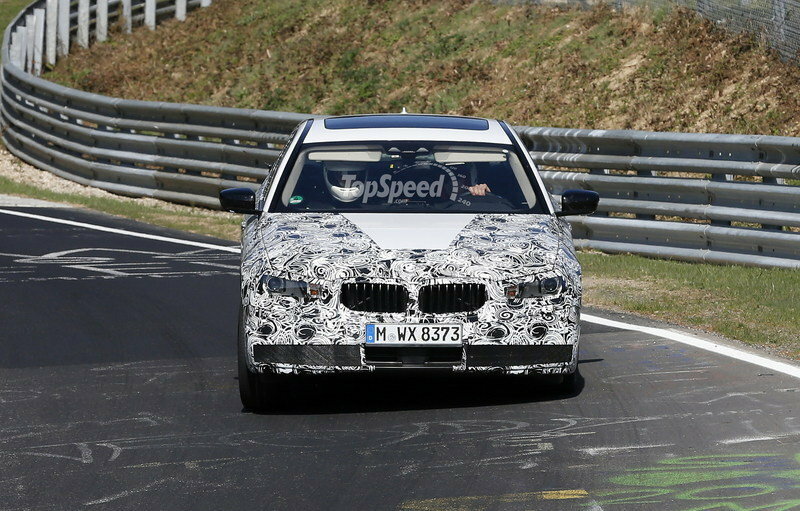 Updated 04/04/2016: Our spy photographers caught the upcoming 5 Series out for a new testing session, and for the first time the prototype reveals most of its revised front bumper. Also, for the first time we got a first look of the car’s revised interior. 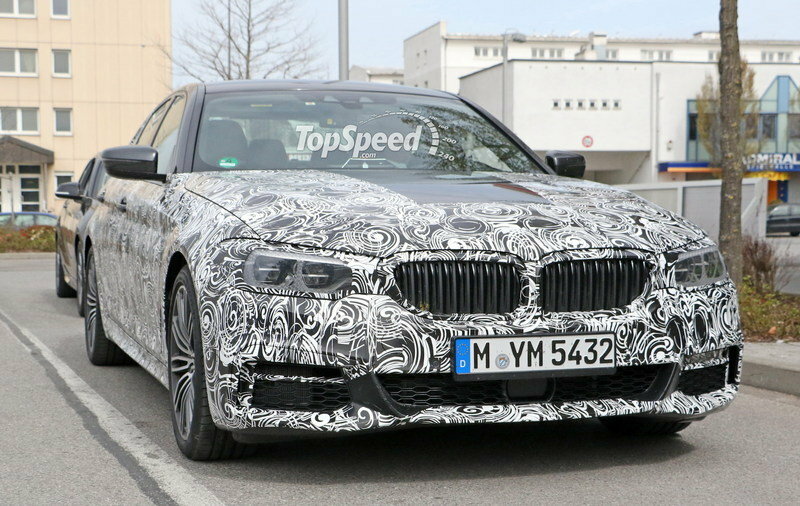 Updated 11/26/2015: British magazine AutoCar reports that the next generation BMW 5 Series sedan will be unveiled at the 2016 Paris Auto Show, with the station wagon and the GT versions set to arrive in early 2017. The model will be inspired by the Pininfarina Gran Lusso Coupe concept car unveiled at the 2013 Villa d’Este Concours d’Elegance and will be built on an advanced new platform codenamed OKL that will make it about 220 pounds lighter. 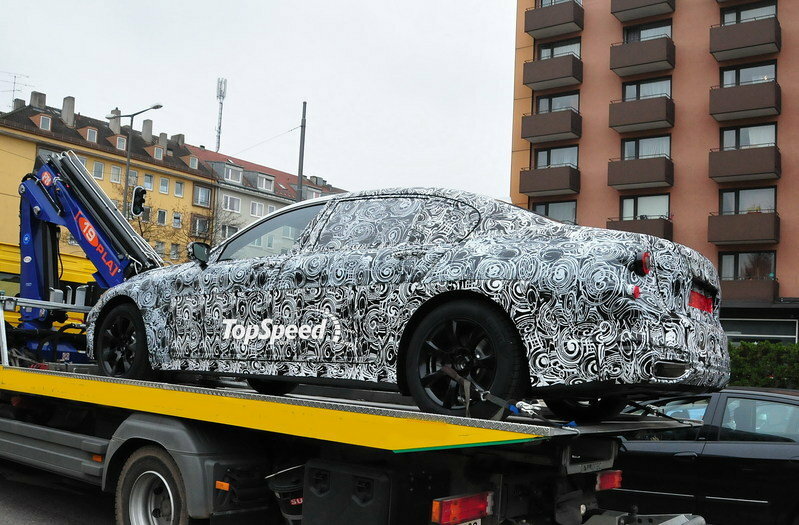 Updated 03/27/2014: British magazine AutoExpress revealed a series of new info on the next-generation BMW 5 Series set to be revealed in 2016. According to the magazine, the next 5 Series will feature a range of modular engines that use 0.5-liter cylinders, similar to the three-cylinder engine found in the new Mini lineup. BMW is still weighing whether customers would actually buy a three-cylinder 5er, but at least the architecture and cost spreading is in place. Additionally, this will be the cleanest engine lineup in the class, set to deliver under 100g/km. 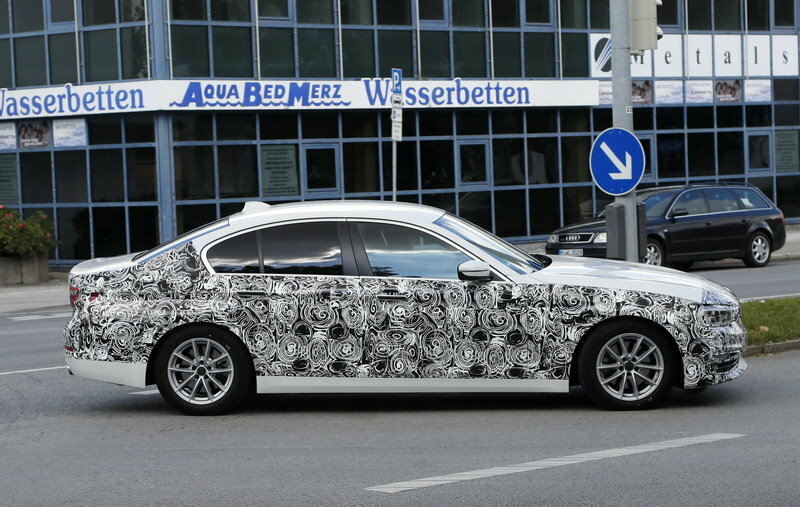 The new spy shots reveal nearly nothing about the next 5 Series, and how could they with all that camouflage, right? However, previous rumors indicate that the new luxury sedan will carry a new design language inspired by the Vision Connected Drive concept. 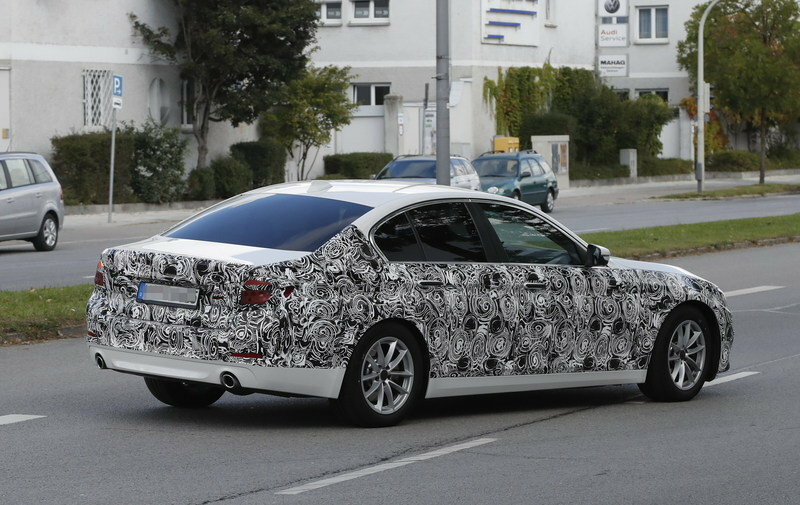 If this rumor is true, the 2017 5 Series will get new front and rear fascias, new headlights and taillights, and hopefully some new body lines that help distinguish it from the rest of the BMW lineup. Unveiled in 1972, the 5 Series was BMW’s fifth model built on the "New Class" platform — its sequence in using this platform is where the name comes from. The first generation was produced from 1972 to 1981 and was offered only in a sedan body style with a manual transmission. 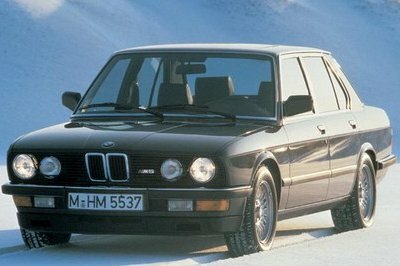 The second generation sat in showrooms between 1981 and 1988, and it added a six-cylinder engine, an automatic gearbox and the M5 version. 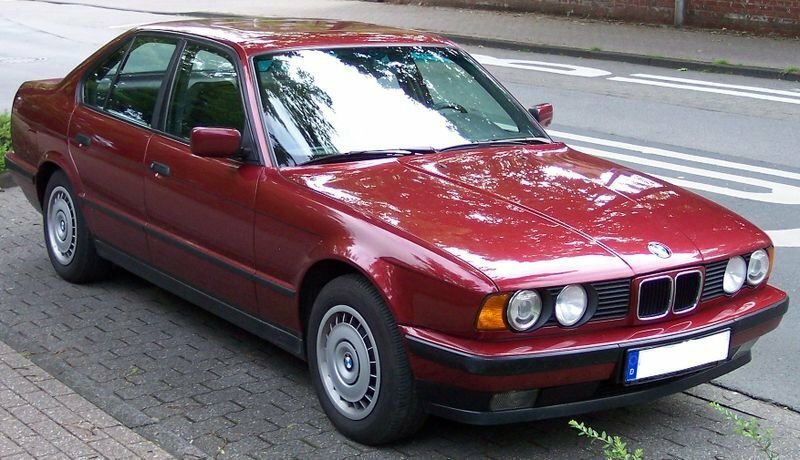 The 5 Series needed a few years of development to become "the most reliable BMW ever made" and the third generation is considered by many enthusiasts exactly such a car. For the first time ever, the 5er had an available V-8 engine, an all-wheel-drive system and a new station wagon body version.The third generation ran between 1988 and 1995. 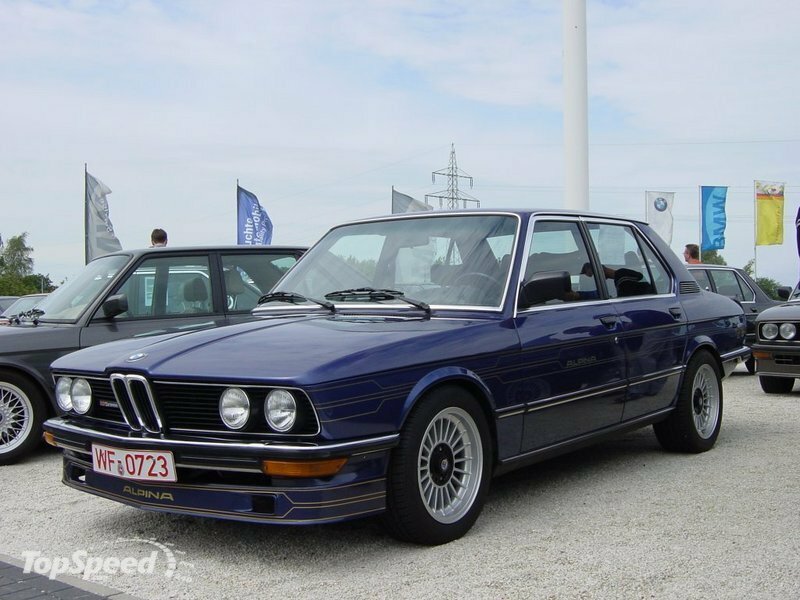 For the fourth generation BMW took inspiration from the 7 Series. 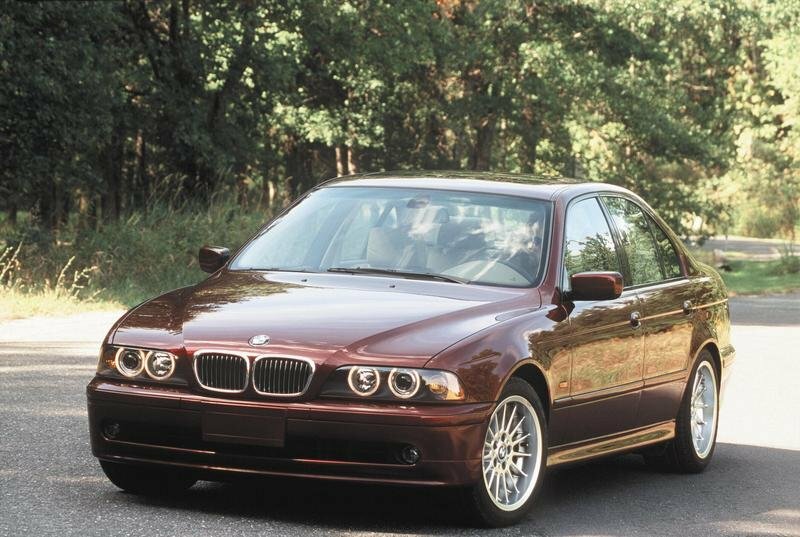 The fourth-generation (E39) 5 Series was produced between 1995 and 2004 it was 2.7 inches longer than the previous model. The fifth-generation 5 Series was produced between 2003 and 2010, and it was the best-selling 5 Series ever. The sixth-generation 5 Series went on sale in 2010 and received a first facelift in 2013. 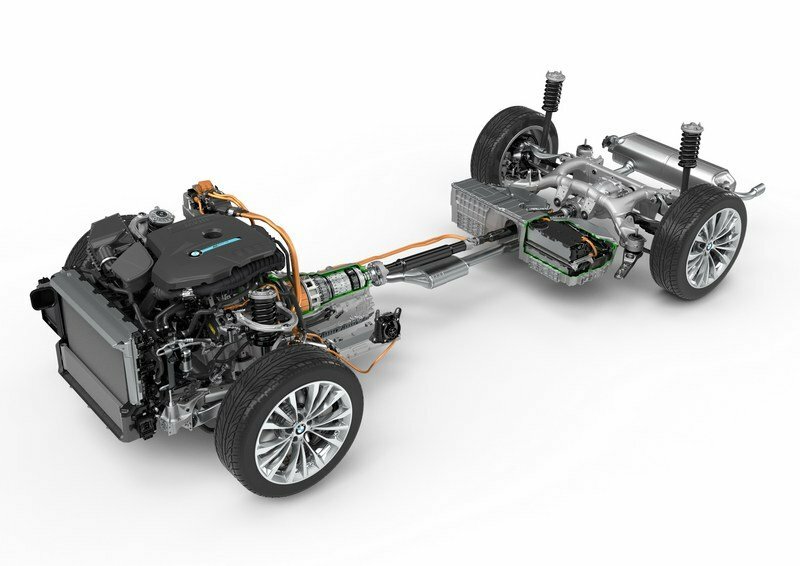 The model is built on the 7 Series’ platform and offers numerous new features, like a front dual ball joint short-long arm suspension, and a rear multilink suspension. For the first time ever, the 5er has an available hybrid configurations and a Gran Turismo body version.